If you are an innovator, a creator, a researcher o a dreamer don´t miss you on the opportunity of developing your own project! Rome will become your new home for a year, and will serve you as your inspiration source. The scolarships for spanish and latinamerican artists and researchers, have the final goal of creating an innovative, artistic or research project at the Academia. The scolarship includes a monthly stipend as well as housing. 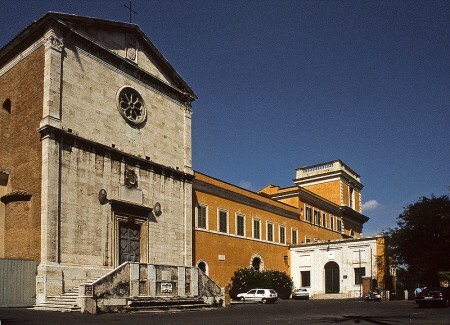 The privileged location for the development of the project is Rome. These projects will allow Spain to strenghten its image in the international scene and will tighten the cultural ties between Spain and Latinamerica. The relationship between Spain and Italy will also grow, due to the collaboration with several italian institutions. A simbiosis is expected between scholarship holders and the Academia. GOAL: Completition of an artistic, innovative or research project during the duration of the scholarship. * Scholarships can be of 3, 6 or 9 months. Depending on the project and individual needs. grand poste. il est très utile pour les gens. Je vais dire à mon autre ami à visiter ce site pour y aider. Merci pour le bel article. Way ta go pal! You really showed them! This entry was posted on April 17, 2013 by mcquant in News and tagged Innovation, Real Academia Española en Roma, Rome, Scholarship, Thesis.